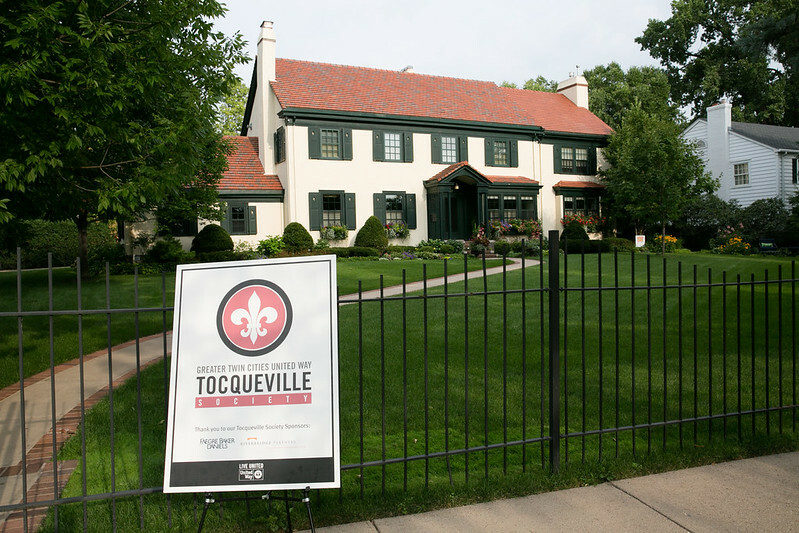 Greater Twin Cities United Way Tocqueville Society members gathered for conversation around the organization’s roll-out of the new long range plan, mission, vision and values at the Evening Encounter Series event on August 14. United Way’s mission seeks to: galvanize our community to build pathways toward prosperity and equity for all. Leslie Wright, United Way’s director of Community Engagement, shared how our intentional focus on equity will be weaved into all we do. This equity work is important because many in our community are facing unjust barriers preventing them from meeting their full potential. When education opportunities are equal for all children—regardless of zip code or the color of their skin—it increases their chances of success in life. When adults have equal access to safe, affordable housing, nutritious food or livable-wage jobs, they become self-sufficient and can thrive. Culturally Powered Communities (CPC) is one example of United Way’s work in equity. CPC equips critical nonprofit organizations and their leaders with the resources to strengthen their work and results as they work to address our community’s disparities and promote prosperity. Over a three-year cohort, five to seven organizations strategically apply their investment to accelerate progress among our region’s culturally-focused organizations. Our guest speaker at the event, Carolyn Smallwood (pictured above, right), executive director of Way to Grow, is a CPC cohort member and a multi-year grantee. Way to Grow was created to address the fact that only 38% of Minneapolis children were ready for kindergarten. Their holistic approach begins with parents to stabilize families. They meet families where they are by connecting them to basic needs services in home visits, prenatal care and family education. Way to Grow primarily serves families in North Minneapolis and has recently expanded to include Brooklyn Park and Brooklyn Center, with plans to include areas of St. Paul as well. Carolyn noted they have been able to expand their service areas precisely because of the support they receive from Greater Twin Cities United Way. Way to Grow is just one example of the great work taking place in equity. Your financial support infuses resources into highly effective organizations to drive positive impact in the Twin Cities. We couldn’t do this important work without your continued support. Thank you!